A little late but a very welcome sight is the return of cows to Petersham Meadows. 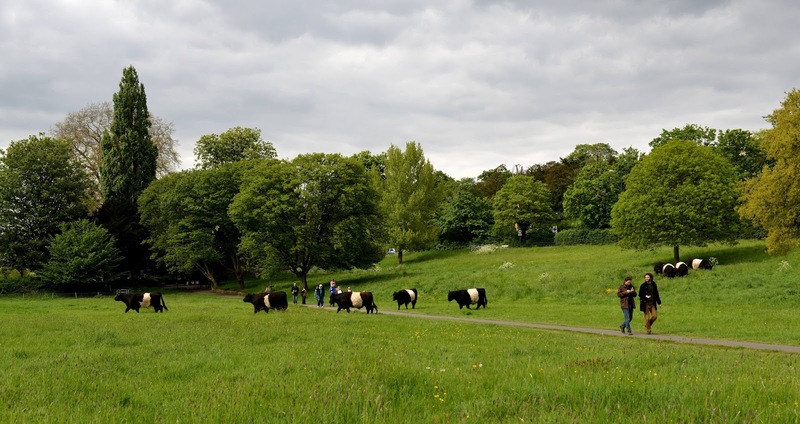 The old Petersham Herd of cows and calves have been replaced by ten Belted Galloways. These good natured, hardy animals are naturally without horns and have a characteristic white band around their middle. Some are still in their winter coat, hence the shaggy appearance. The steers are owned by the Surrey Wildlife Trust who’ve adopted the breed for grazing other reserve land. 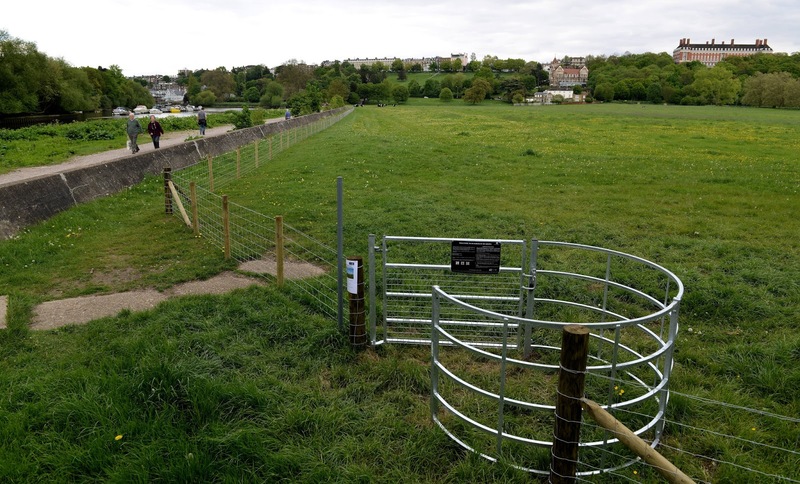 Dogs are now banned on Petersham Meadows during the grazing season, April to October, and subject to a £1000 fine. Temporary signs have been erected at each entrance but many dog walkers appear unaware of the new arrangements. 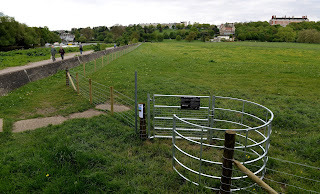 Also a new fence has been constructed along the inside of the towpath to prevent dogs entering the Petersham Meadows and provides a route for the public during high tides. 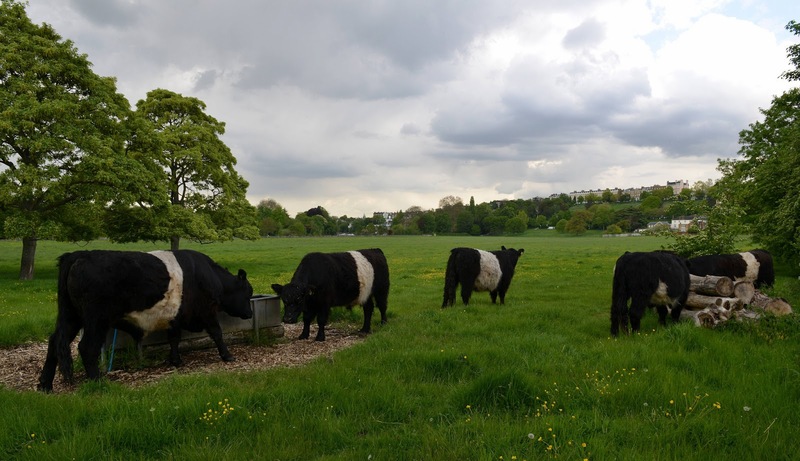 For two seasons the risk averse National Trust have restricted cows on Petersham Meadows and limited public access. This season the cows are the responsibility of the Surrey Wildlife Trust, the Council are in charge of signage and dog enforcement and the National Trust can rest easy. This new arrangement leaves sufficient gaps to avoid any potential liability. I recently got a newsletter through the door from the Liberal Democrats who have made a petition (http://bit.ly/16YZLKz) demanding a 'return to standards of grazing'. I'm not entirely sure what they are on about but I have followed the 'firestorm' of an argument over the meadows. My point is, if they can no longer safely be grazed (how can one ever graze land 'safely'?) then perhaps they could be maintained as a wildflower meadow? This would be both cheaper and safer, and the NT could sell the hay to local equestrians. Biodiversity could do with any helping hand it can get. The local Liberal Democrats know the views of local people. Many have sent emails and letters over the last two years, two public meetings have been held and 2011 saw an online petition and poster campaign. 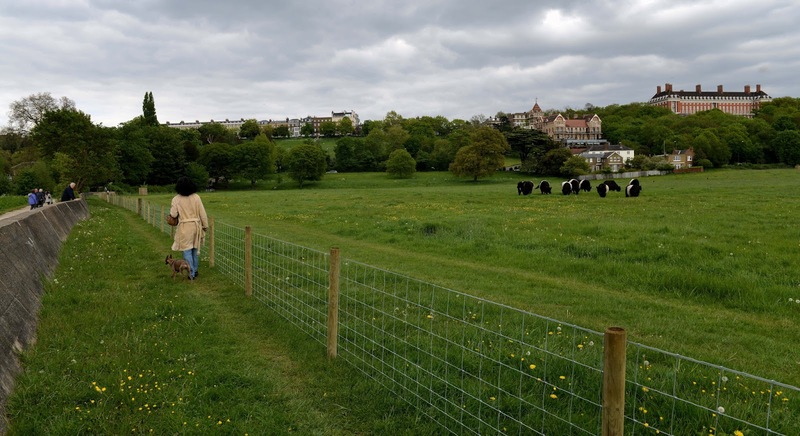 Every newsletter from the Liberal Democrats says that they are working to resolve the public dissatisfaction with the National Trust over their management of our meadows. This year has seen our heritage further eroded. 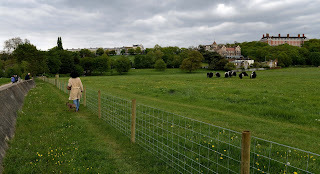 With regard to biodiversity we all need to do more but the Petersham Meadows is not a suitable location for a hay meadow. The meadows have been grazed for several hundred years removing any trace of the original floodplain flora. 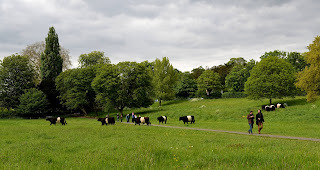 Moreover, the meadows are used extensively by the public so the yield would be low and probably contaminated by litter. In dry years it would be a fire risk and the hay would require large equipment to cut both in midsummer and periodically until the end of the season. However the meadows do represent our heritage as the last link to London’s rural past a fact lost on the National Trust.